These refurbished offices on Hounslow High Street are ideal for start-ups and companies looking to expand. 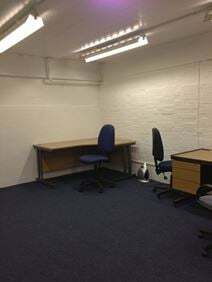 With negotiable terms and good public transport links these office spaces are available immediately. 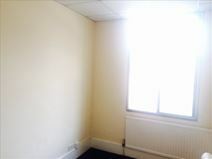 Serviced office property situated in Hounslow, South West London. The office space covers three floors and is divided into two separate business centres offering a range of different sized offices to let. Parking spaces provided for approximately 25 vehicles, access to Waterloo and Central London via nearest railway station, Heathrow. Overlooking Heathrow Airport this landmark building prides itself on its friendly, vibrant atmosphere that provides everything from hot desks and co-working space to self-contained offices, meeting rooms and conferencing facilities. 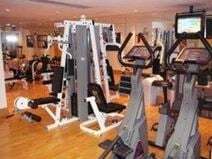 A local fitness centre is just minutes away while central London is also easily accessible. Free cakes and wine on Fridays! This space is located just over a five minutes walk from Hounslow East station, and around 10 minutes from Hounslow Central, meaning transport links across London are excellent. Nearby there are a range of restaurants and bars, perfect for a lunch time break from the office. Newly refurnished, the space allows an abundance of natural light to flow throughout, creating a pleasant working environment. This modern centre offers a variety of office spaces to suit start-ups and small businesses. Storage units are also available on-site. 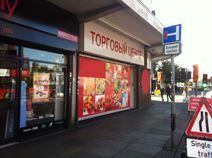 This business address is located on London Road, close to Hounslow East Underground station. An impressive modern tower block which enjoys fantastic views over south west London and Heathrow airport. The centre within has fresh, bright offices and stylish communal areas with black marble adornments and also offers an in-house restaurant, a gym, pool and secure parking.